Size: Height: 44CM/17.3" Wdith: 37CM/14.6" Thickness: 10CM/3.9"
Construction: Top handle. Zip placket along the top. Adjustable strap. Front pocket. Exterior zippered patch pocket. Two compartments. Zippered interlayer. Two opening patch pockets and a zippered patch pocket. Are you serious? Handbag? Backpack? Shoulder bag? Crossbody bag? Yes. Have this bag, it means you have four bags. 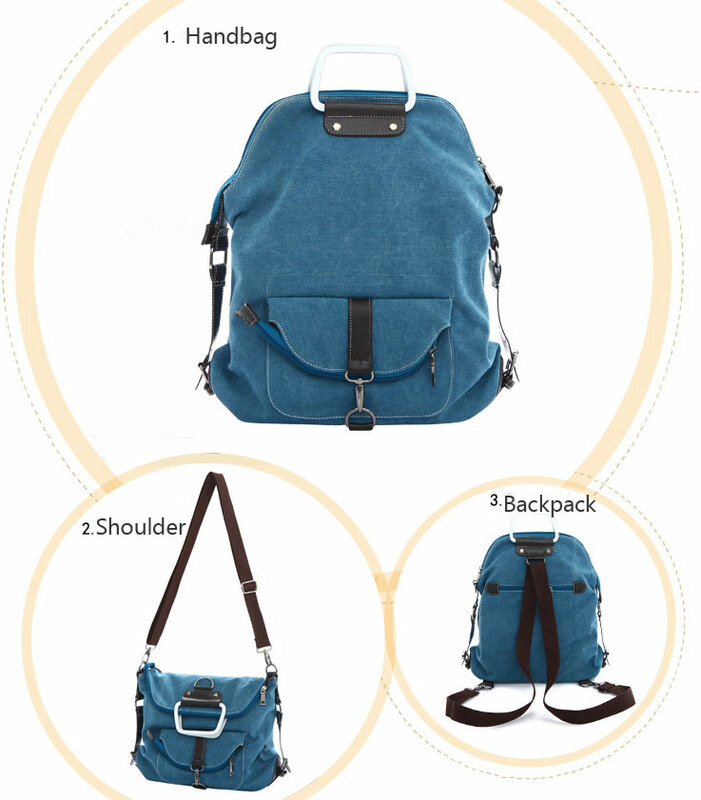 Adjustable the strap, this bag can use as a handbag, backpack, shoulder bag and a crossbody bag. Want it now? Do not hesitated. Bring it to home. A man, a bag, a smile, still able to flow season and over , it's like carrying a carrying a safe and comfortable.